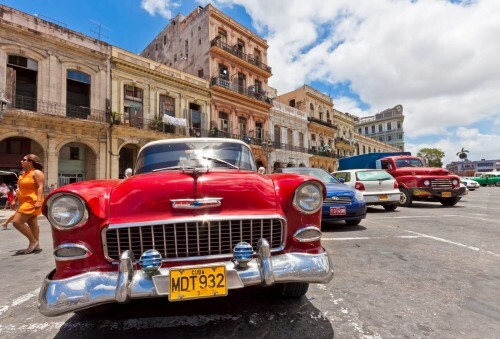 UPDATE 5.4.2019: Air France now offers really cheap flights from Vienna to Havana in Cuba for only €359! Travel dates in May-June and September-October 2019, e.g. 14.5.-27.5., 27.5.-8.6., 13.6.-26.6., 18.6.-3.7., 10.9.-25.9. or 2.10.-14.10. Check-in baggage up to 23 kg included. BOOK NOW, check screenshot. Aeroflot launched a great promotion on flights to Cuba with prices at least €200 cheaper than usual price to this destination. 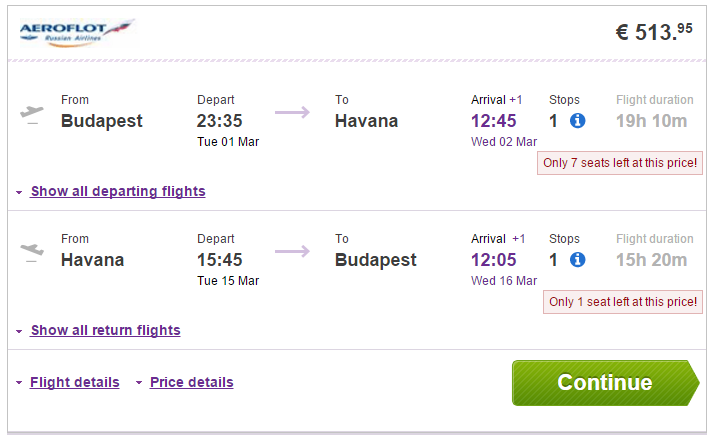 Return tickets from Budapest to Havana are available for only €513! You can also fly from other destinations served by Aeroflot such as Prague or Vienna for just ~€20 Euros more. Even cheaper price from Warsaw or Belgrade to Havana, just €500! Usual price of tickets to Cuba is around €800. Travel dates are until end of March 2016. Book fast via Vayama to get these tickets! « WOW! Cheap flights to Brazil: Rio de Janeiro for only €357!